BlockCDN Releases its TV set-top box Miner. The whole system has been designed for ease of use, there are 3 simple steps to set-up that we have outlined below. The plug-in is currently limited to Android TV set-top boxes but there are plans to expand quickly to other platforms. 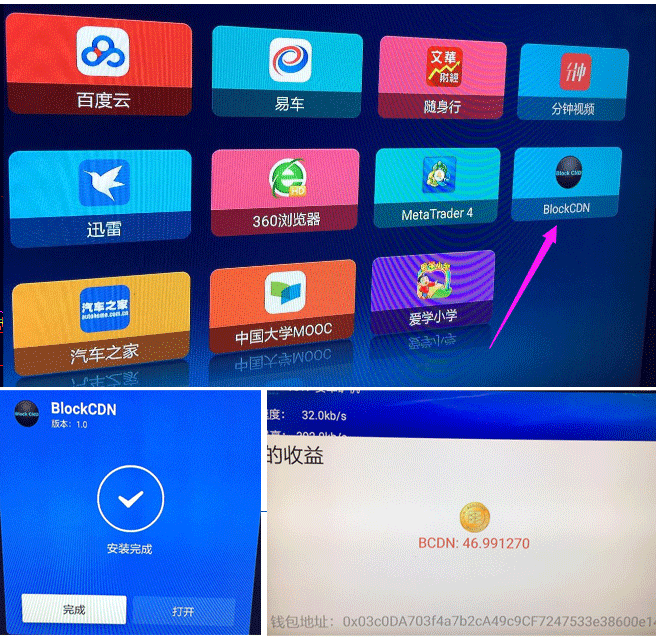 Now, users can perform mining activities in the home by installing a simple piece of software giving BlockCDN an advantage over other mining systems. 2. Within that folder create a document called ‘account.txt’ — please format as shown in the diagram — and paste in your ETH address & invitation code using “&” to separate the two. (codes can be obtained from the team on Slack). 3. After that, directly install in the TV Box and operate according to the diagram. Due to unprecedented demand in BCDN mining, those interested in running the TVBox or other miners through BlockCDN are required to take part in the ICO to the value of 50ETH or more. This is essential at this time due to the absence of incoming revenue throughout this ICO period but happily you will received 50,000 for your ETH and a share in 40% of the profits for the first three years!